Presenting thousands of chord forms. 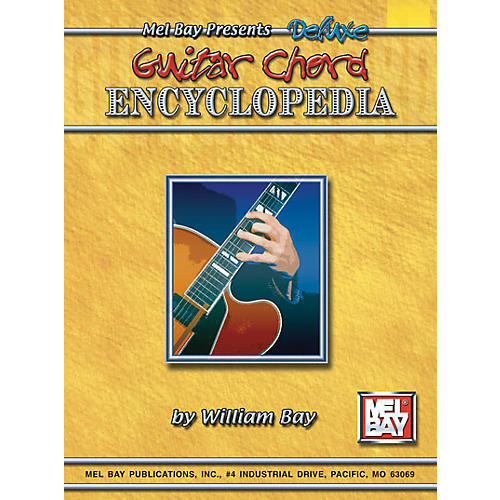 The Mel Bay Deluxe Guitar Chord Encyclopedia presents each key and numerous forms for each type of chord. Chords are classified into melody forms, inside forms, rhythm forms, and bottom four string forms. Each type of chord is shown in notation, listing the name of each note and its function in the chord (root, third, seventh, etc.) Also, the name of each note is shown on every diagram and the bottom and top chordal tones are listed (5th, root, etc). A great value for any guitarist.